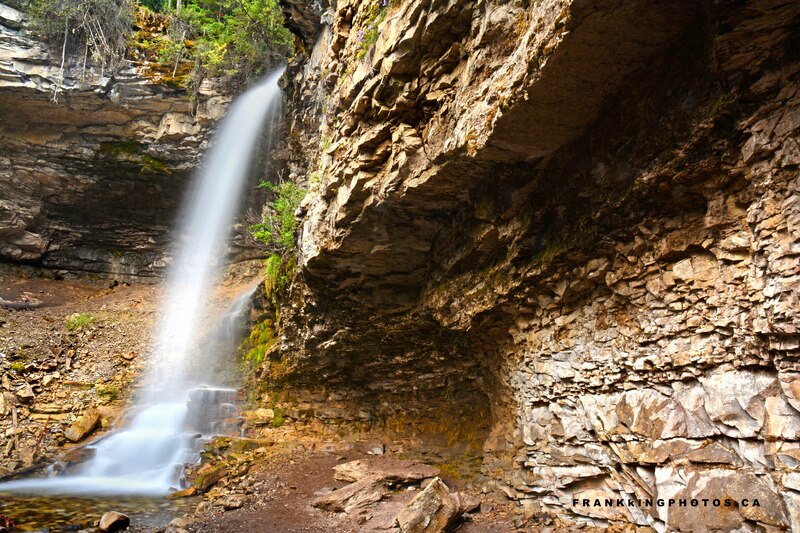 A short walk through the forest brings one to this tranquil rocky waterfall in the Canadian Rocky Mountains. I spent almost an hour here, trying different perspectives and viewpoints. It ices over fabulously during winter months. Nikon D7100, tripod, polarizing filter and, probably, a neutral density filter to achieve a looong exposure and make the water silky.